Ken Gonzales-Day is a Los Angeles based artist whose practice focuses around the narratives of colonialism, gender normativity, and race through his research of historical racial depictions and educational displays. His integral work has raised awareness of the racialized violence experienced by marginalized groups in California, including Latinos, Asians, African-Americans, and Native Americans. 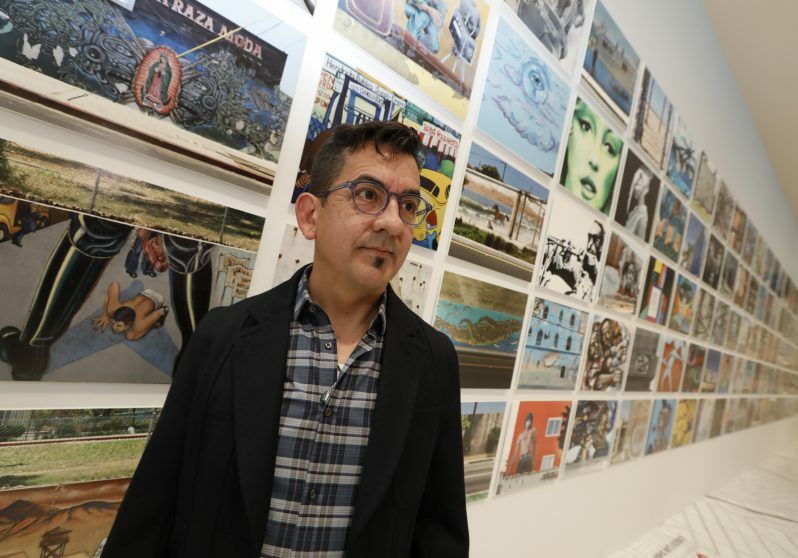 Gonzales-Day’s work has been widely exhibited including: LACMA, Los Angeles; LAXART, Los Angeles; Tamayo Museum, Mexico City; Palais de Tokyo, Paris; The New Museum, NYC; Generali Foundation, Vienna, among others. Gonzales-Day was also recently the recipient of the Guggenheim Fellowship in photography in 2017. Ken Gonzales-Day is participating in the Vancouver Biennale exhibition “This Is Not America” curated by Jeffrey Uslip.